These little creatures are made from recycled terracotta and porcelain slip. They still have a few stages left before they are finished, including a glaze firing. 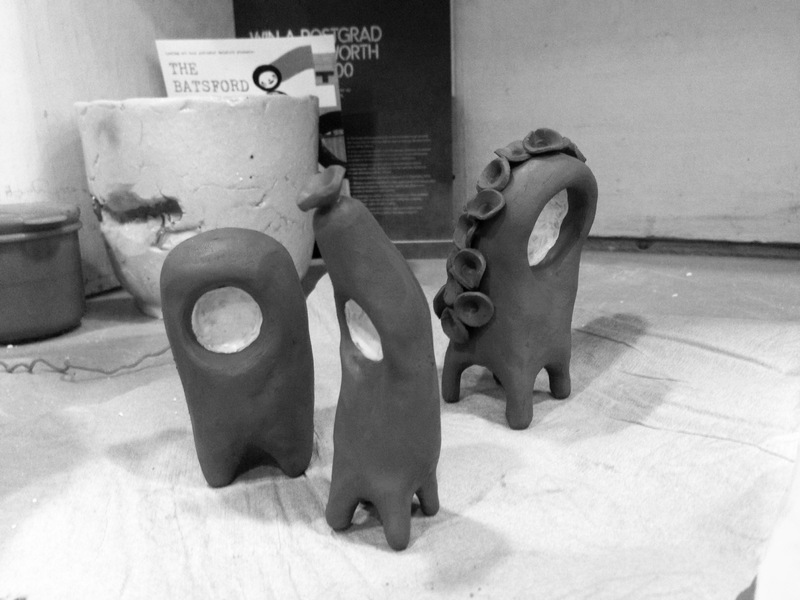 I enjoyed the making process behind hand-building these little guys, they remind me of little spirits or guardians.